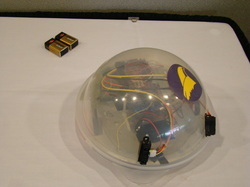 The US contest was held in conjunction with the IEEE EIT conference in Indianapolis, Indiana, on May 6th and 7th 2012. 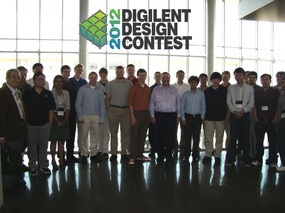 The contest was organized by Digilent, Inc.
11 teams qualified in the final stage of presentation & judging. The teams showed off their projects in presentations that featured an engineering design discussion, project demonstration, and Q&A session. The panel of judges consisted of industry and academic representatives. In the award ceremony, held on May 7th, winners were awarded certificates and prizes by representatives of the organizer companies. Writing Motion Capture – a Nexys3 based pen that collects the acceleration and rotation information during your writing and translates the script into digital alphanumeric characters.